What Is The Best Sofa Color For Your Family Room? Best Sofa Color For Your Living Room? The best thing about your sofa, and the worst thing about your sofa, is that it seats several and therefore takes up a big amount of the visual space in your living room. When something takes up that much of the room, whatever pattern, color, material you choose for it, sets a big part of the mood. This can be intimidating when it comes to choosing the color especially! As a result, a lot of us just go for the plainest, most bland, inoffensive color we can find, turning our sofa into a sittable match for our wall, not drawing anyone’s eye, not being too “loud”… “no harm, no foul”, goes the logic. And the longer you own your sofa, the more the color will fail to catch the eye. But does it have to be this way? We don’t think so. We think you can and should have a sofa that makes a statement and makes you feel great about your living space! Bold Colors Or Bold Statement? Does making a statement mean that instead of being as invisible as the wall color, your sofa should be as eye-catching as a wall hanging? Surely there’s happy medium? If you already have a color scheme for your room, or are willing to pick one, maybe you’ll want to go with a an especially bold color, but for most of us, the color choice itself should be more subtle. Take a look at your room: do you use a lot of warm reds, oranges, and yellows? Then you can afford to go a bit more towards orange, but even then, you might prefer a more chic tan to a Krylon orange. Blues and greens of course call for more blue and green, but these colors can also leave a distinctive mark on a room of grays and blacks. If you want your couch to stand out, it's best to not have it match too much with the colors around it. A related color, or well-paired opposite, will change your couch from a big bland blob into the centerpiece of your living room. While the color of your sofa is going to be very important, the availability and appearance of a given color is going to depend on the material of your sofa. 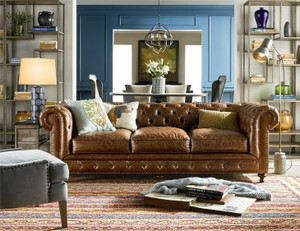 Leather sofas will trend heavily towards tans and browns, while fabric sofas will have a greater variety of dyed hues. Even the same color will look quite different on a leather sofa than a fabric sofa. Whichever material you go with, Zin Home carries sofas and sectionals with high quality materials in several colors and styles. While your only consideration won't be the visual (fabric sofas may need more protection from staining, but you may prefer the feel of fabric; conversely, maybe you just love the feel of leather, but contact with liquids can crack its surface), you'll want to keep in mind the way a leather or fabric sofa will look, and how your desired color scheme will look on, or how it can be expressed in, one or the other material. Zin Home's selection of sofas and sectionals can spoil you for choice, so it's important to narrow it down wherever you can. Of course, our team will be happy to speak with you directly via phone or email about stylistic choices, but we hope this short blog post will give you some ideas about what you're looking for. For example, do you want a sofa or a sectional? Sectionals are more and more comfortable, and certainly can help you make the most out of a limited space, whether because you're in a small urban apartment, or simply because you have a room you want to maximize its usage for sitting space. Zin Home pride ourselves on a diverse and fashionable selection of sectionals, and we hope you can find something to fit your space on your budget. An important part of making a statement with your sofa is being willing to go beyond just matching a material and a color to your existing living room aesthetic. Each color has a life of its own, and if more than one color scheme can match with the surrounding furniture (who's to say red or blue go better with white or black? ), then your color scheme is a great way to put a personal spin on your living room. Reds and other warm colors: Give off a youthful, energetic aura. Used in symbolism for love and excitement. Grays and taupes: "Cool" colors without being too "elemental": this gives off a professional or reserved vibe. Can be very dignified, and striking if paired with other colors. 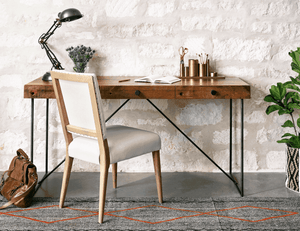 Tans, browns, and greens: Especially the less rusty tans and browns will give a strong feeling of calm. The "earth tones" pair well with each other, so a green room with a brown couch or vice versa is a safe bet for a relaxing but stylish space. Blue-green: Greens can also pair well with blues, however. 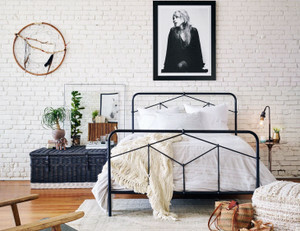 This can also give a stylish cool to a space without the "outdoorsy" vibe. Blacks and whites: At the extreme ends of the color spectrum you'll find colors that, if they're placed in a space with a very different color profile to themselves, will make the boldest, most confident and modern statement. 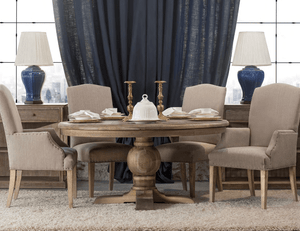 Whatever color, material and style you choose, we hope you're very satisfied with your Zin Home furniture. Contact us today and let us help you get the sofa or sectional you need to make your space as stylish as it is comfortable!